The Church of Jesus Christ of Latter-day Saints is often identified as the Mormon or LDS Church. LDS, in this case, is an acronym for Latter-day Saints, a part of the official name of the LDS Church. When religious bodies use similar names to identify themselves, such as FLDS and LDS, there may be and often is some confusion about the relationship between them. 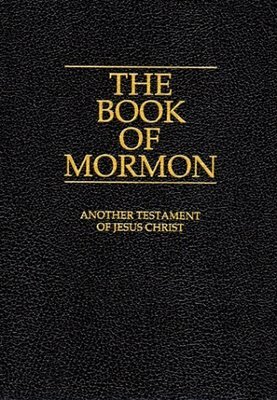 Just as there are many Christian denominations which believe that Jesus of Nazareth was the long anticipated Jewish Messiah and the Savior of the world, yet disagree upon other significant doctrinal points, including the nature and composition of the Bible, there are individuals and groups who accept the message of the Restoration (the calling of Joseph Smith as a prophet and coming forth of additional scripture, including the Book of Mormon) yet disagree on some rather key doctrines, policies, and practices. From the earliest period in Mormon history (1830-60) there have been dissenters, some of whom created separate religious communities. Over time, these groups have evolved and, in many cases, they have created a unique theology and history in marked contrast to that of The Church of Jesus Christ of Latter-day Saints (LDS Church). In this sense, these dissenters are very much like the first Protestants who were separated from the Holy Roman Apostolic Church, or Catholic Church, when they rejected the authority of the Pope and created alternative Christianities. The Church of Jesus Christ of Latter Day Saints (FLDS) is one such group, an independent community with no official relationship to The Church of Jesus Christ of Latter-day Saints (LDS). Most of their members have never been members of The Church of Jesus Christ of Latter-day Saints (LDS, or Mormon Church). The only connection between the churches is that each shares a common historical past within the nineteenth century. FLDS beliefs, practices, and polices have become so distinct and unique that it is not helpful to compare and contrast them with those of The Church of Jesus Christ of Latter-day Saints, just as it would be impossible to compare the Baptist Church with the Catholic Church, even though they share a common belief in Jesus Christ and the Bible. Latter-day Saint (LDS) leaders categorically reject FLDS beliefs and practices about polygamy, priesthood succession, and following and sustaining civil law. Therefore, any Latter-day Saint who supports FLDS doctrines or practices is subject to LDS Church discipline, generally including excommunication. Like most other Americans, Latter-day Saints struggle to understand the religious motives and activities of this fundamentalist group because their practice and beliefs are just as foreign from their everyday experiences as they are from most other Christian denominations. Because of the major differences in doctrine, practice and history, Latter-day Saints are concerned when the media or others attempt to link the churches together. Latter-day Saints support religious pluralism. One of the Church of Jesus Christ’s Articles of Faith states, “We claim the privilege of worshiping Almighty God according to the dictates of our own conscience, and allow all men the same privilege, let them worship how, where, and what they may” (Articles of Faith, 11). Latter-day Saints therefore, allow people the right to join any religious body they choose. However, another Article of Faith states, “We believe in being subject to kings, presidents, rulers, and magistrates, in obeying, honoring, and sustaining the law” (Articles of Faith, 12). Therefore, the Church of Jesus Christ (LDS Church) teaches its members that they should support the constitutional laws of the land and believe that the government has the right to enforce laws that protect children and other vulnerable members of society. Like many other people of good will, Latter-day Saints are sympathetic to the plight of the children and women of the FLDS Church and hope that they might be in a position to enjoy life without fear of abuse and with the full freedom to associate or disassociate from any religious body at any time they feel so inclined.